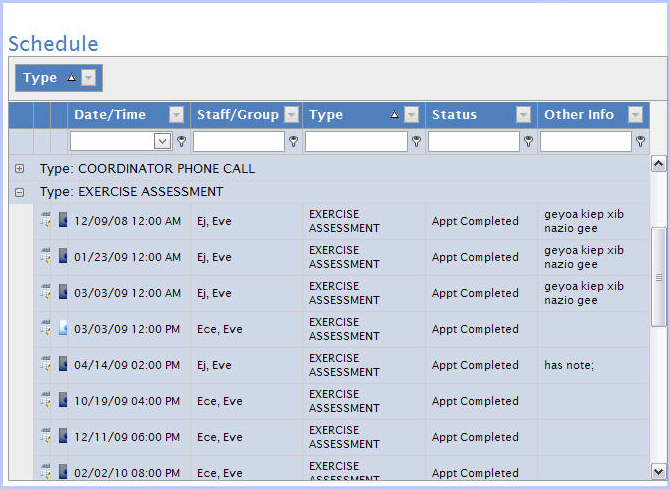 Above, our de-identified InfoPro Manager database (all actual program staff, participants, etc. have been de-identified). Events can be organized, sorted, and filtered by any column. Above: specific exercise assessment events.